Max Simms Camp, Bishops’ Falls, NL: July 6, 2008 and July 12, 2009. 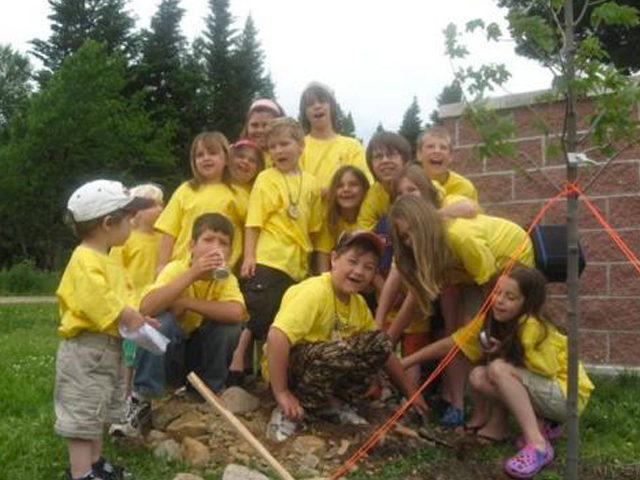 On July 6 2008, the Newfoundland and Labrador Chapter held a treeplanting ceremony during its 40th anniversary celebrations at The Max Simms Camp, Bishops’ Falls, NL. This year’s Annual Memorial Service took place on July 12, 2009 during our family weekend. Each year during our Memorial Service, we gather together near our tree to pray and remember our family and friends, our members, who have passed away due to inherited bleeding disorders, HIV, and hepatitis C. We also remembered James Kreppner, not just for advocating for the CHS and helping to keep our blood system safe, but for his dedication and strength of spirit. It will help us move forward as a chapter. We will keep our heads held high and work together to keep our blood system safe!